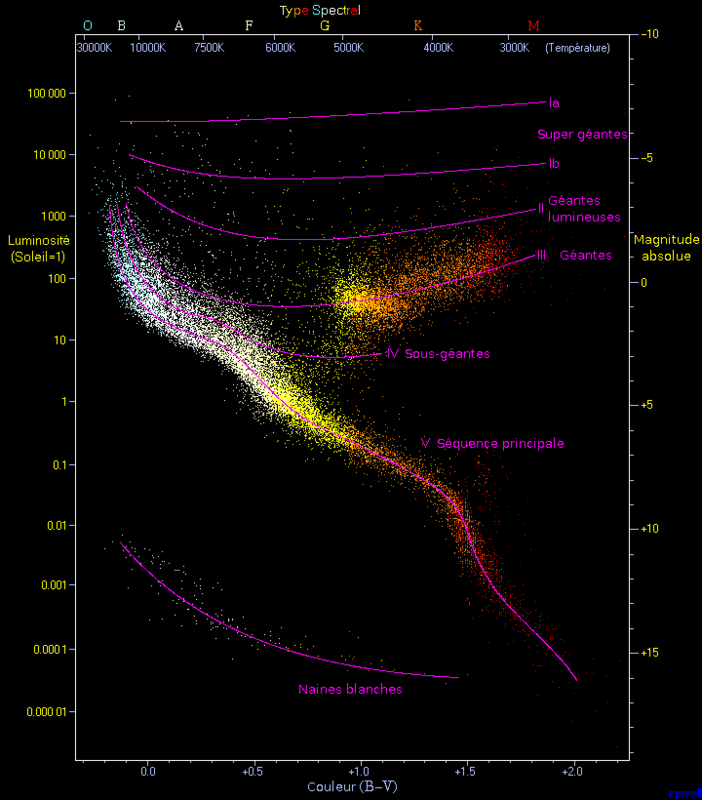 Spectral classification is a system for classifying stars. The stars are split into seven main categories: O, B, A, F, G, K and M starting with the hottest blue-white stars down to the coldest red stars. A number (0 to 9) is often added to determine a sub-class. A Roman numeral is sometimes also used to indicate the size of the star. Supergiant stars are in class I, giant stars in class III, and ordinary stars in the main sequence are in class V (Types II and IV are intermediate types). Using this system the Sun is classified as a type G2V, while Arcturus - a giant orange star - is type K2III.